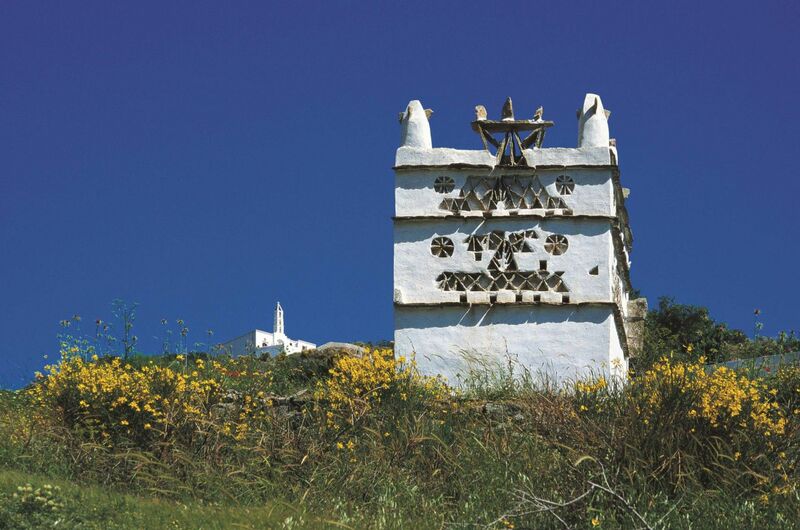 Thousands of pigeon houses, lunar landscapes, unseen catholic chapels and deserted villages form the valley of Tinos in Kato Meria. 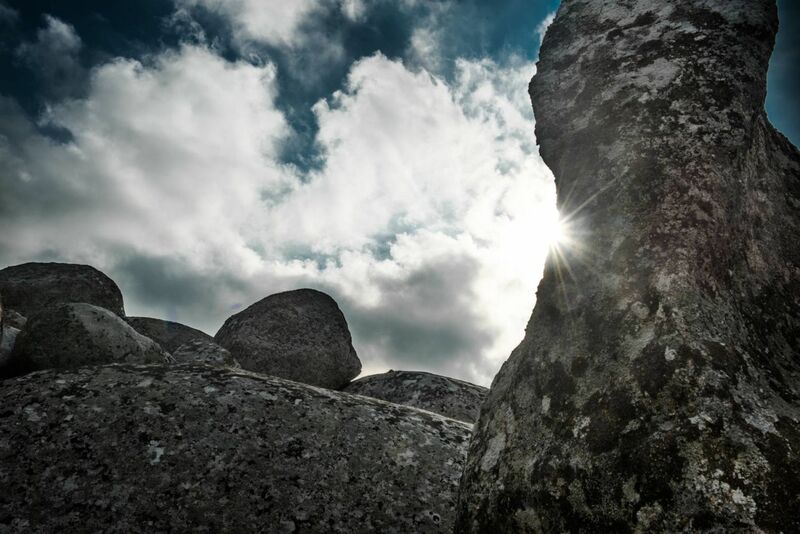 A unique natural scenery of scattered granite rocks on the plateau of Volax puts you on to mythology as rocks are believed to be the remnants of a legendary battle between gods and giants. However, the prevailing opinion is that those rocks are the result of an ancient volcano eruption. 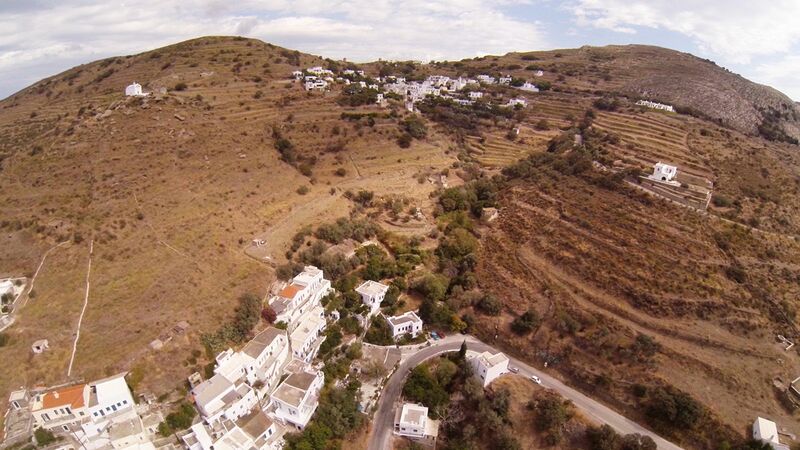 Looking at Sklavochorio, where wellknown Nikolaos Gizis was born are some of the reasons why you should visit Kampos. You should also visit Loutra where you can see the Jesuits Monastery and the Ursulines Museum/ School. 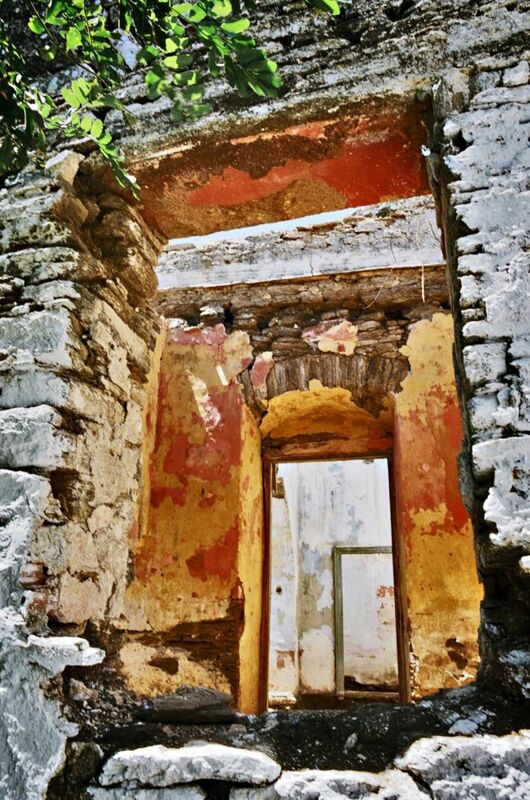 The passage, through Kato Meria, leading to Chora gave the name to the village Perastra. 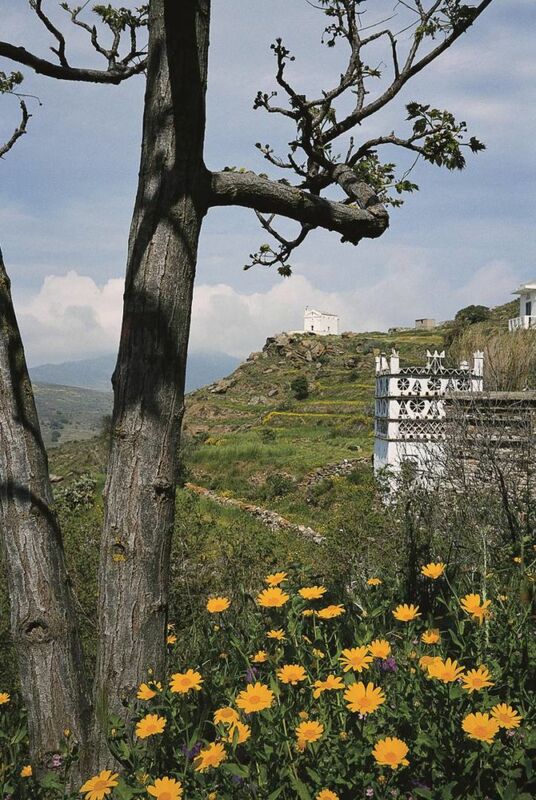 In your path you’ll come across lemon trees, fig trees, oak trees and artichoke fields. Among the hotspots of the area: the old Oil- Press and the Dovecote since 1927. 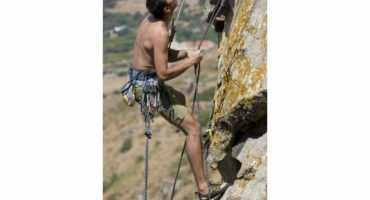 The most complete guide with places to stay, attractions to visit and specialities to taste and enjoy in Kato Meria in order to make your visit an enjoyable experience. 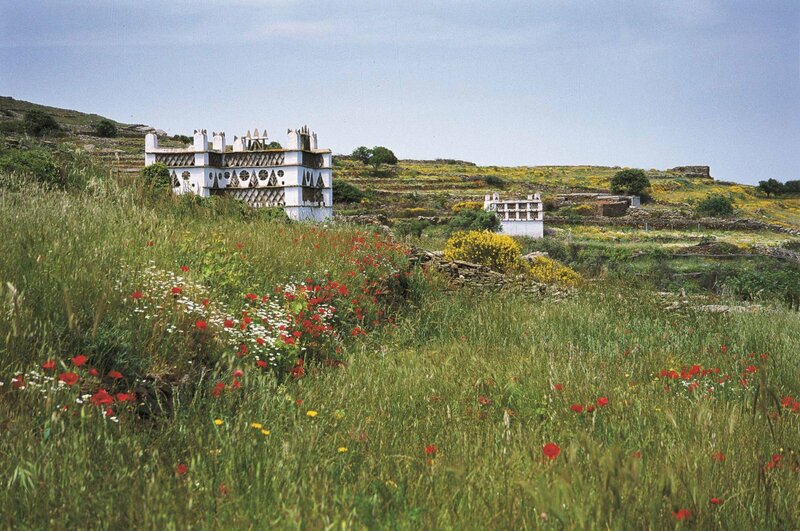 Choose from a list of small picturesque apartments and be a part of the history of the island as the owners’ local the decoration is a time travel. Tinian honey especially in the Honey Festival in Kampos. Pickled artichokes, caper leaves and sweets from Komi, Greek safran from Kronos or just pick a prickly pear on your way. In an area with more than 200 dovecotes, squad with rice in tomato sauce is in the menu of nearly all the taverns there. 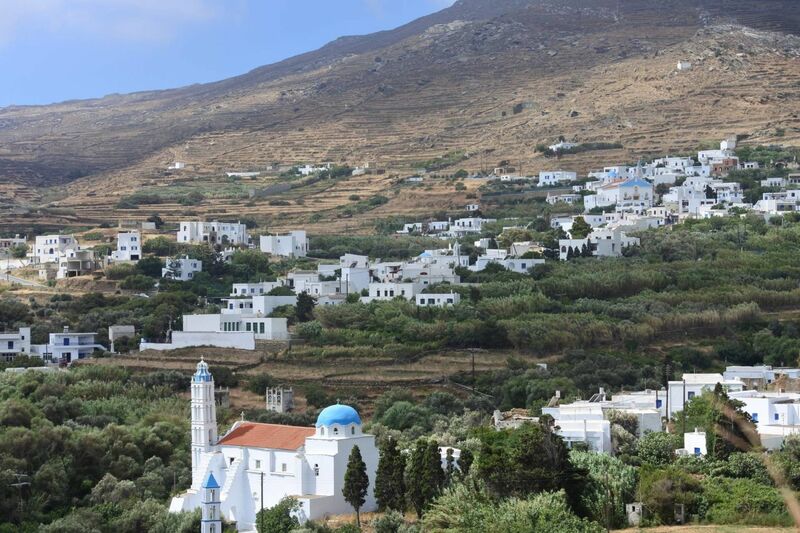 It is said that in Smardakito there is the best tavern of the island, but in any restaurant of the area the local people offer pickled artichokes and some caper leaves as a welcome dish. 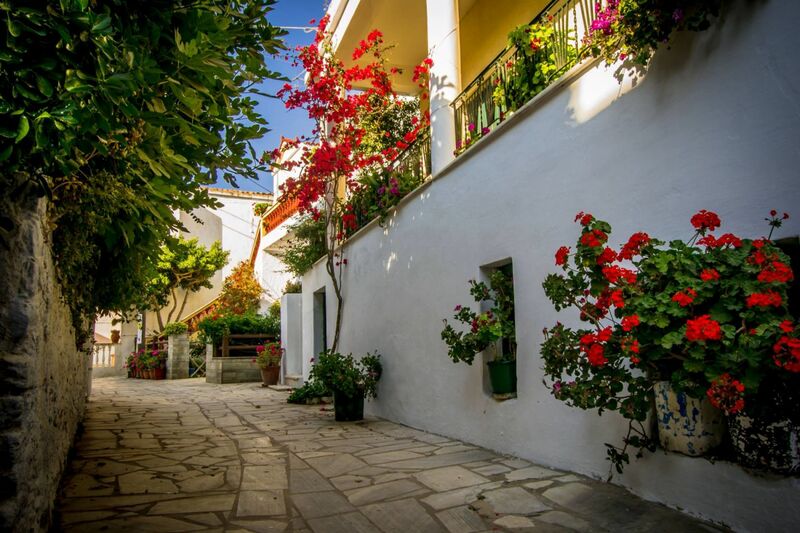 Visit Aetofolia and the traditional Pottery Museum, Karkados and the ancient quarry, admire the most popular artistic creations : the Dovecotes, and of you are lucky enjoy a playin the outdoor theatre in Koumaros, under the stars. We’ve chosen and present you the best accommodations, restaurants, cafés and shops of Kato Meria. Discover them. 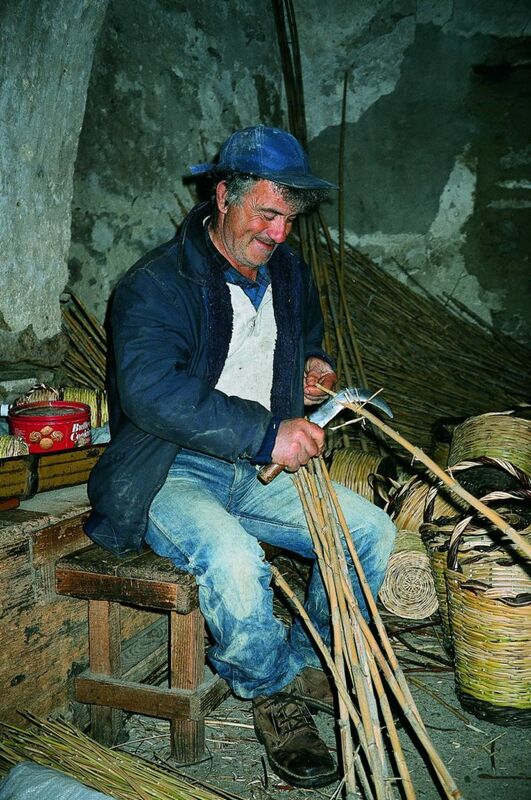 To Serve Quality: a very complex process, in which we need to use, knowledge, safety, tradition and a little bit of love. 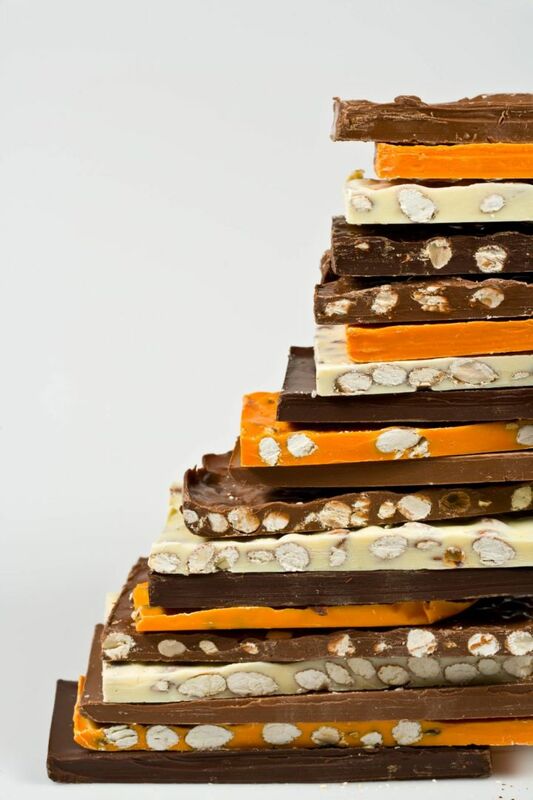 It starts from collection or harvesting and goes all the way through, on your plate. 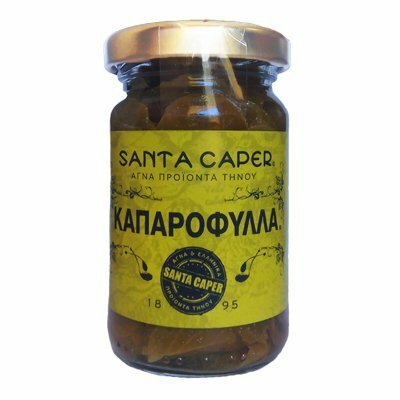 We use knowledge for cultivation, safety for collecting & processing and tradition with a little bit of love to give the taste, the smell and the correct texture on every Santa Caper Product. 36 years ago, Kollarou family decides to have a lifetime change, leave Athens and return to the homeland. 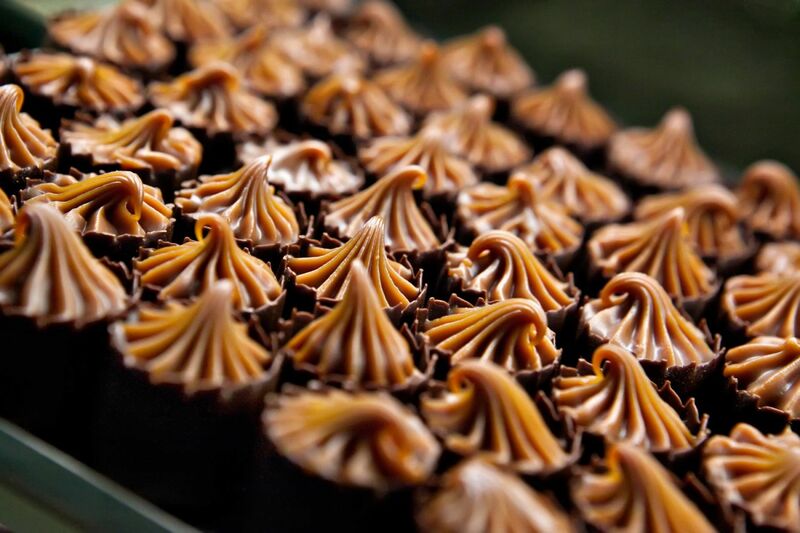 Later on, they create NOUFARA pastry shop, first in partnership and afterwards in family, thanks to the father’s great experience, who had worked for the best pastry shops in Athens (Serafidis, Toulipa, Delis, King’s George hotel etc.) as well as the mother’s silent support. Nowadays, the children are responsible for the shop while the parents remain important helpers in every endeavor. 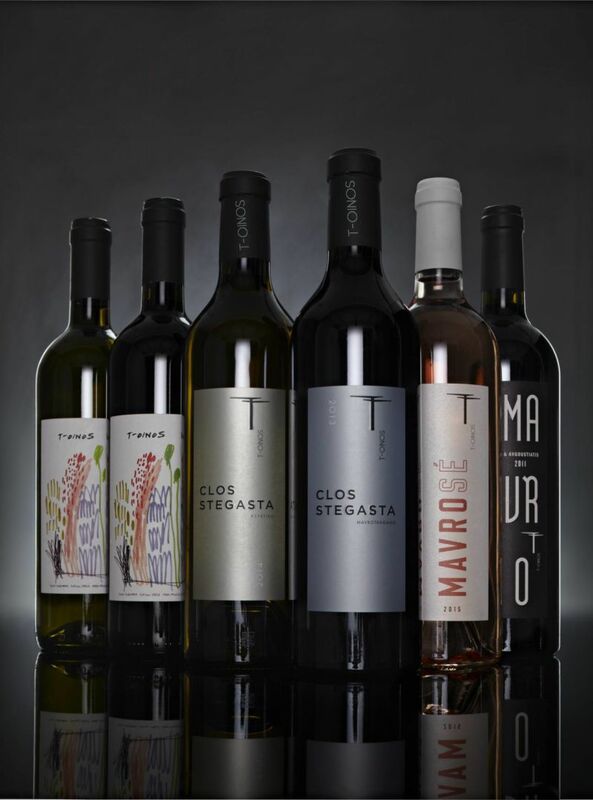 Our origin from Tinos island, in the Cyclades, and our immense love of this beautiful place enabled us to get involved in the adventure of planting a new vineyard and starting wine production. 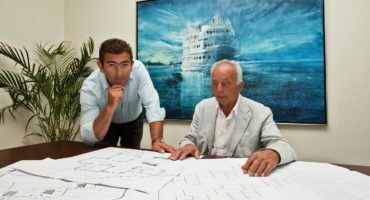 Giorgos Foskolos and Fragiskos Amoiralis count more than 30 years of “pastry-making” presence in the island. In 1975, they leave Athens behind to move to Tinos and together start Mesklies, aiming at making people’s lives as sweet as they can. 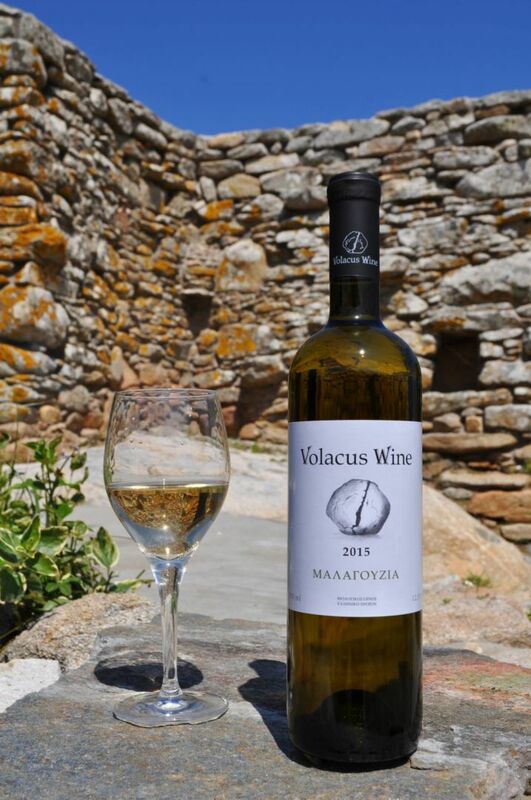 The idea of Volacus Wine first started in 2010, when the first vineyard was planted in the area of Gardari, in Falatados village, by the Tinian Michalis Kontizas. … where is the heart of the Tinian inland. 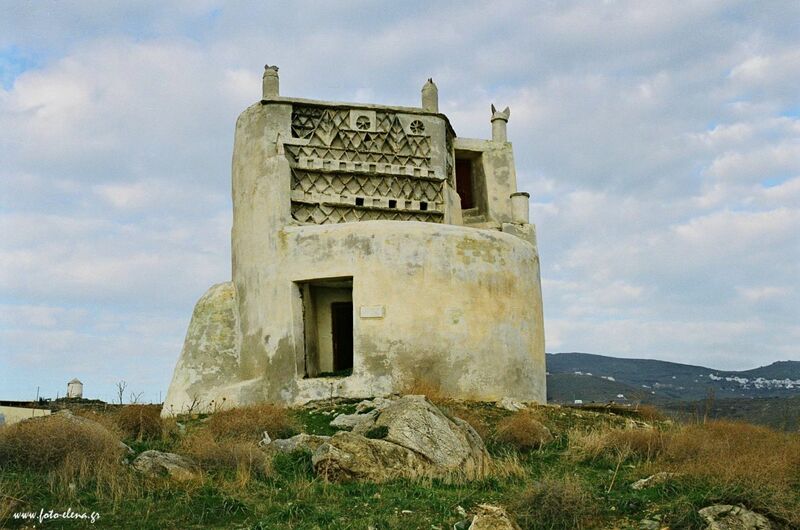 The special homeland of Aghia Pelagia of the typical characteristics of the local architecture, the local washers, the last complete windmill and Kostas Tsoclis’ Museum, seems to have its “eyes” turn towards Xobourgo. 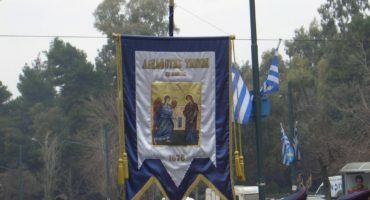 The two churches, of Trinidad and Aghia Ekaterini denote that in Kampos there are believers of the catholic and orthodox cult respectively. 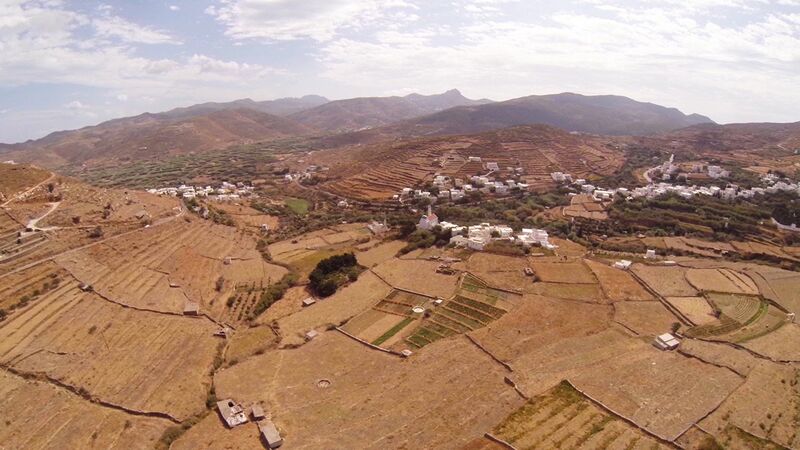 The interspersed white houses for Aphrodite’s birds, pigeons, spot the green valley in Tarampados. 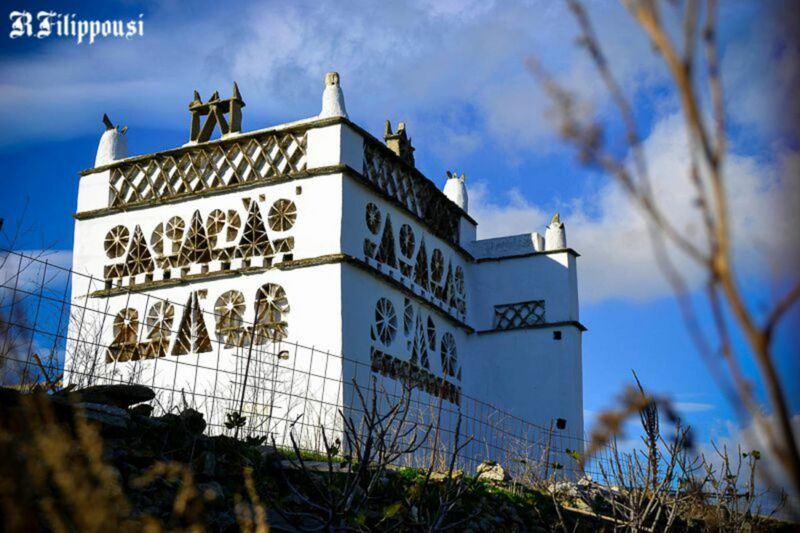 Built of whitewash and slates by Tinian, inspired craftsmen on the “brisk” ravine, the pigeon houses constitute a top example of the local folk architecture and at the same time a trademark of Tinos. 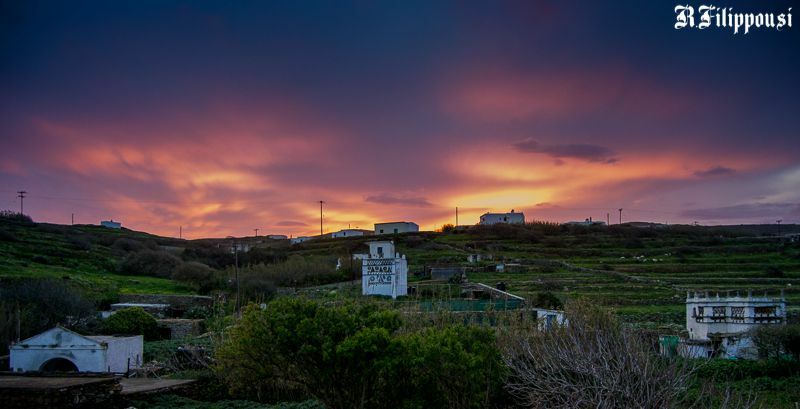 If you take a walk in the well-preserved old path of the village of the 18th century, you will be able to admire from a short distance eleven of the oldest pigeon houses in the island. 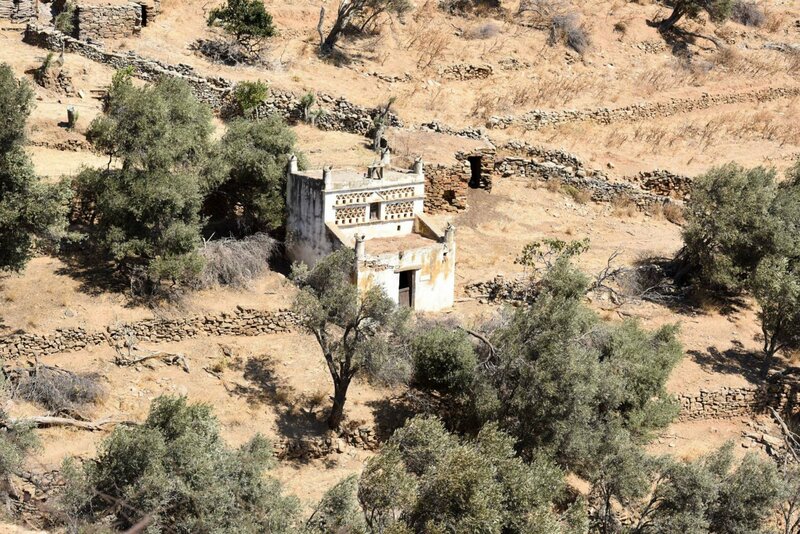 Surrendered in the wear of time and left in the mercy of the winds, the ghost-village has depopulated during the 70’s. If something has remained to remind that once, among the ruins, there was life, this is the white-washed church of Aghios Joseph which still stands on its “feet”... Monastiria relived in the summer of 2006 through the use of mirrors and wooden paths in the framework of the artistic intervention of Kostas Tsoclis, Giorgos Triantafyllou and Nikos Xydakis. 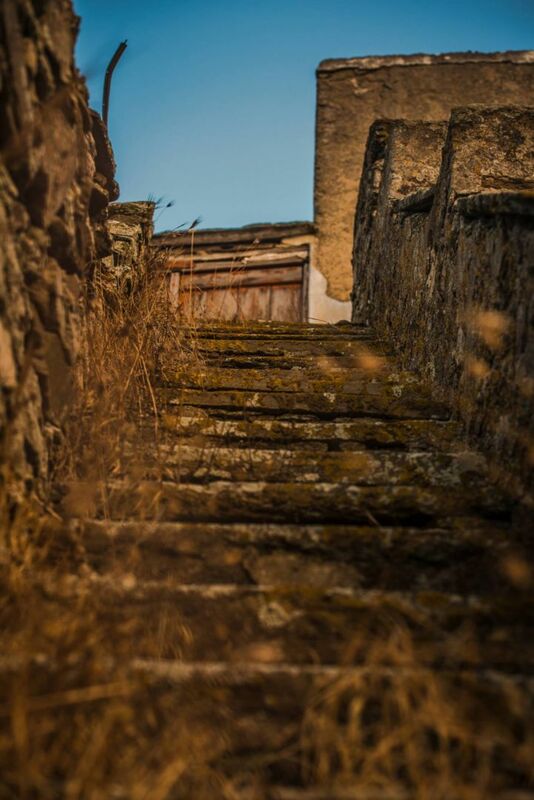 As you may imagine, in the past the village was a pass from Kato Meri to Chora via cobbled roads. Picturesque, of quite few inhabitants, perennial oaks, stone arched bridges, pigeon houses of 1927 and watermills across the homonymous ravine. In the highlights, the oil mill, an interesting building and at the same time a “monument” of the interesting agricultural history of the island. When listening to the name “Scalados”, you think of stairs. 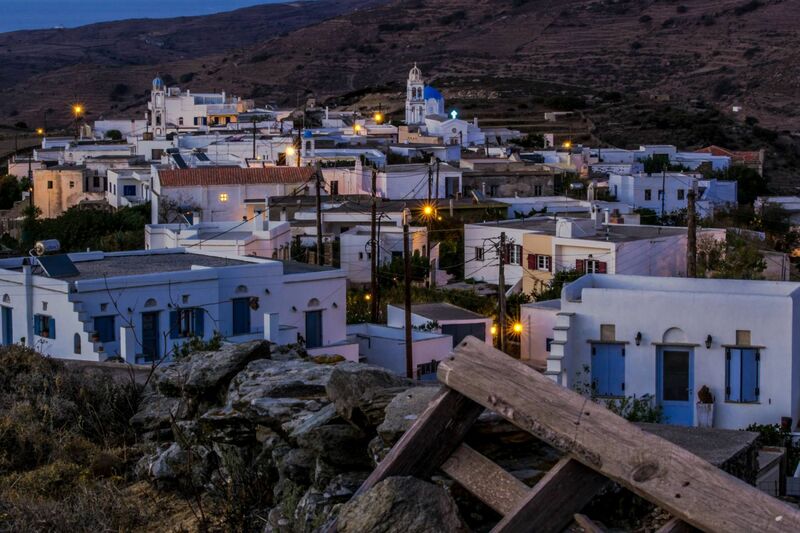 Indeed, in the village which connects Ano and Kato Meri (homeland of Anna Fonsou), the stone stairs that you will go up and down, are limitless but the panoramic view to the inland of Tinos is marvelous. Total green, with waters, reeds and pigeon houses “cropping up” on several parts, the village lies on the fertile land of the agricultural settlement getting up to Komi. 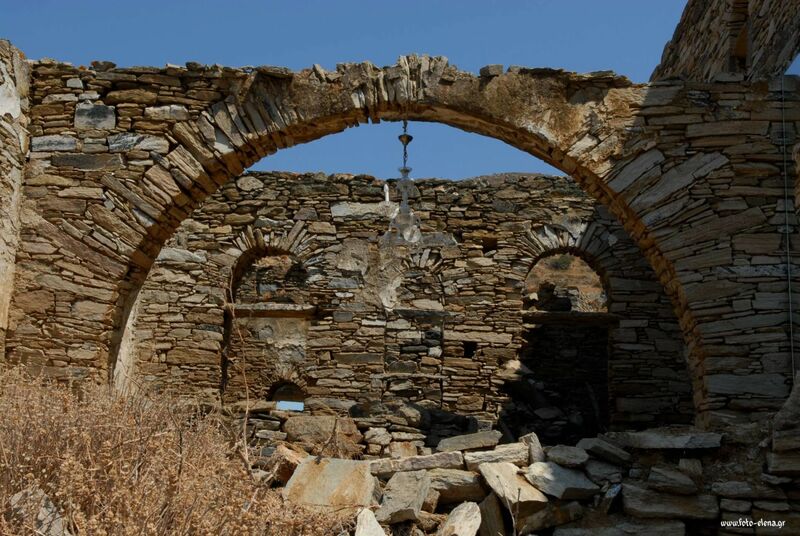 It worth seeing the church of Aghia Anastasia, Panagia and the ruins of oil presses of a past time. 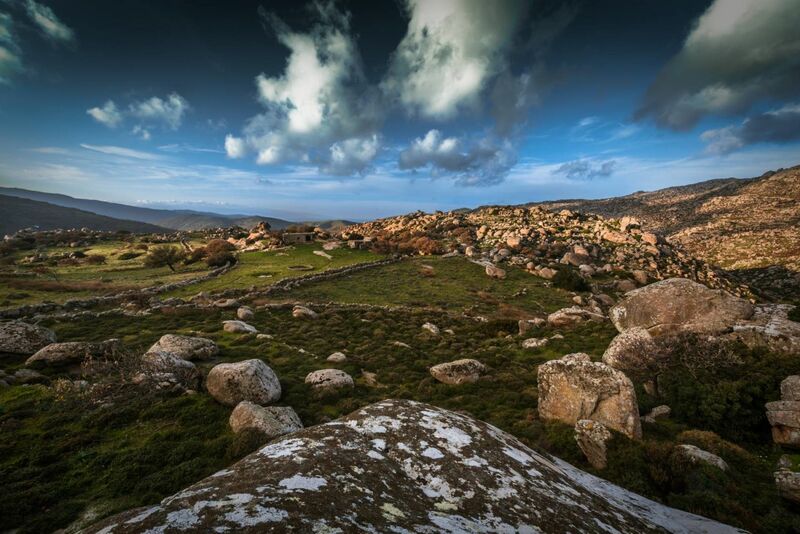 The image of the “spread” with granite, round rocks of the plateau has travelled all over the world. 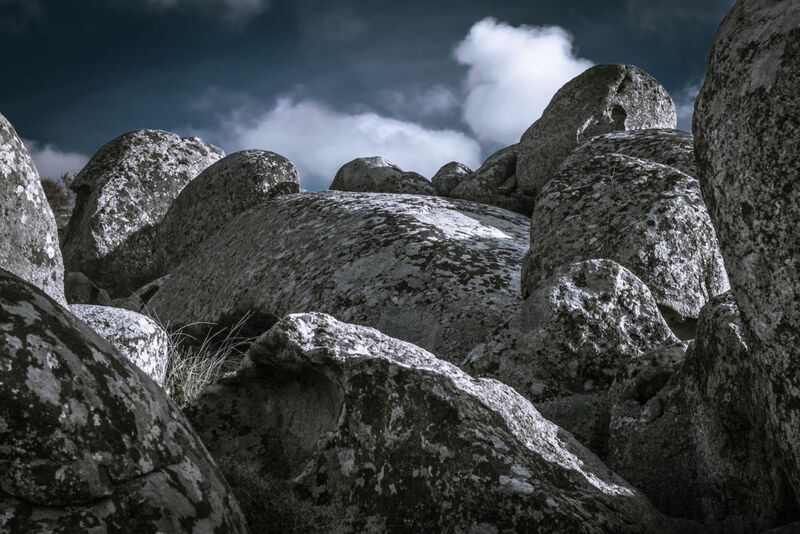 According to mythology, in the immense area of the huge pellets, Titans’ battle had taken place while some other attempts to explain the unique geological phenomenon say that the rocks are due to meteorites fall. Perhaps, it is a seabed or more likely, the stones are the result of a volcanic explosion that happened millions of years ago. 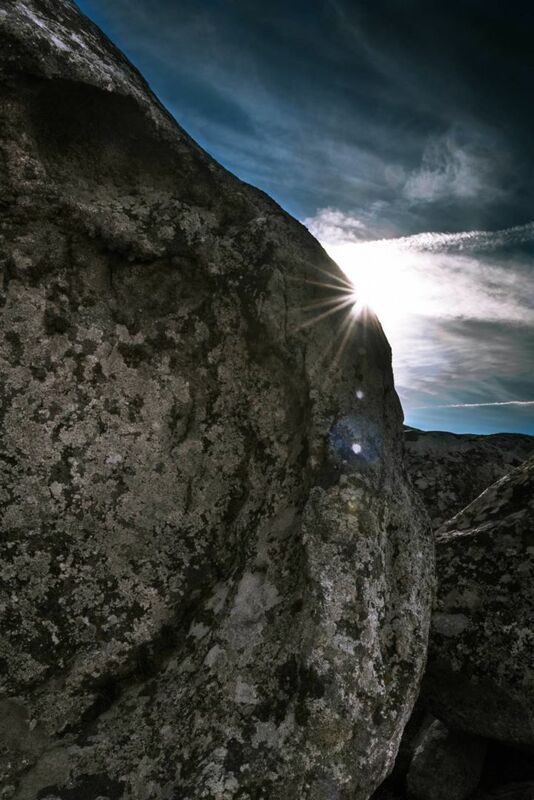 Among the granite formations, whites that compose the special architectural profile of the extraordinary village. 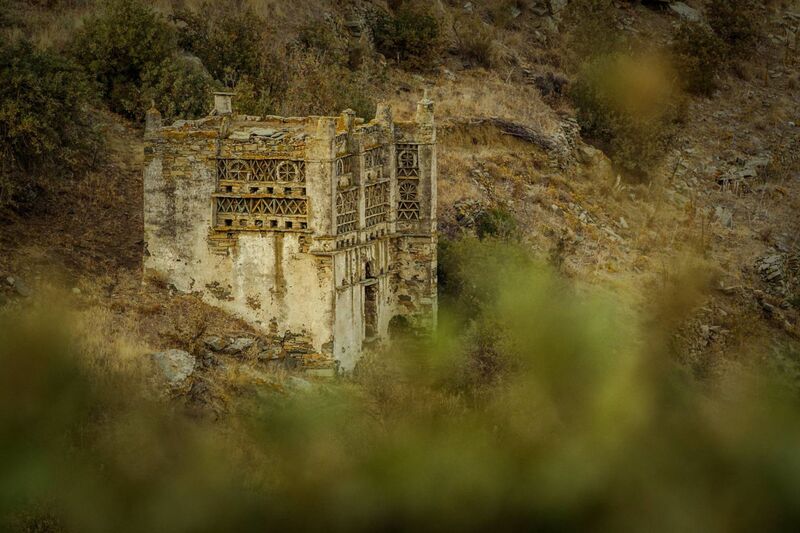 In the inner part of this eccentric settlement, you will find basket weavers and a captivating open theater. 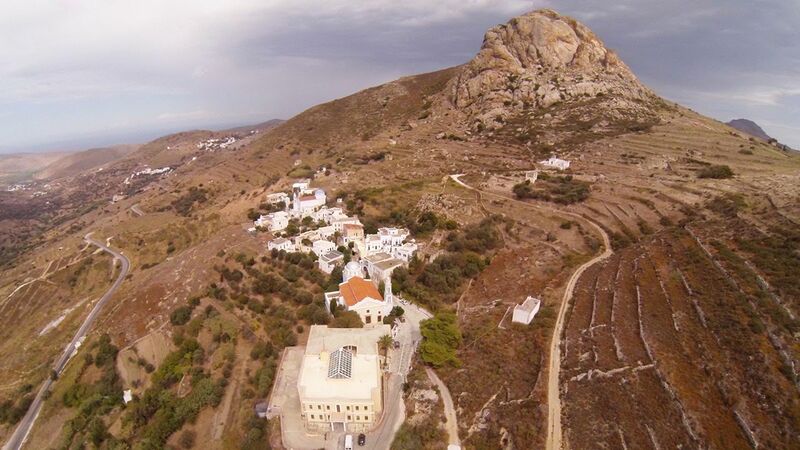 The music and theater performances of the summer that are hosted in the “home-made” outdoor theater of Kostas Tsoclis, have given to Koumaros its former prestige. 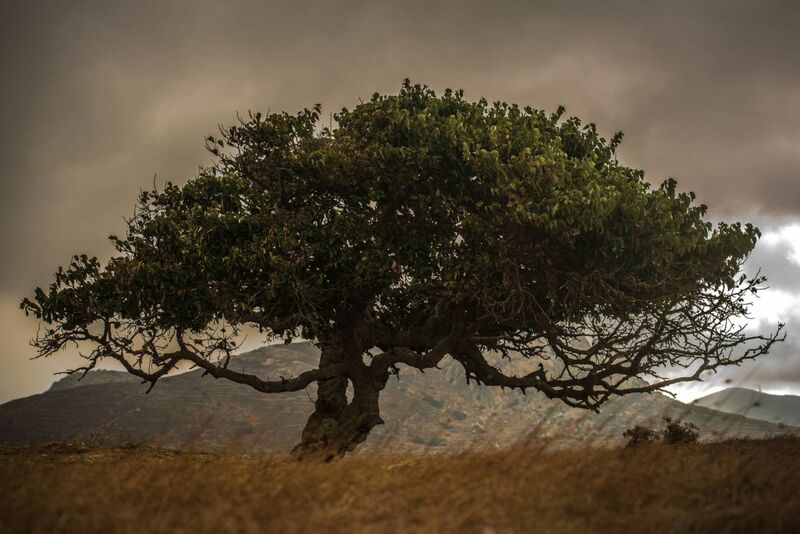 The village that was founded during the byzantine times on the steep hillside of Fourkas mountain, was “born” again thanks to the stone, atmospheric scene with the free “bleachers” that the artist has formed within his own ranch. A work of art dedicated to the catholic cult in the edge of Komi field, just a breath away from the verdant Kalloni (or Kelia). 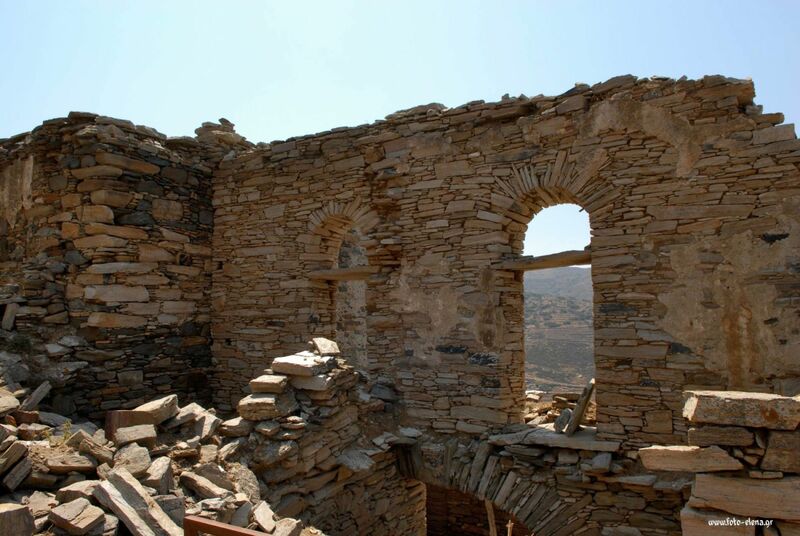 We refer to the male monastery of Aghia Ipakoi that was founded in 1648 by the bishop of Tinos, Nikolaos Rigos and gathers ascetics and hermits. 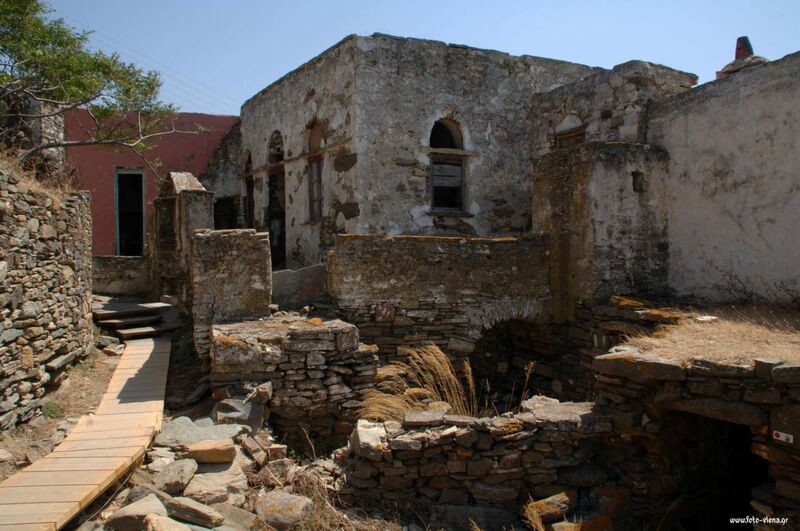 The sights of the island include the church of Aghios Zacharias with the beautiful pebble yard, the monument and the impressive marble doorsteps of the houses. The bell tower of the church of the Savior with the large tilt reminds of Pisa tower, hence the characterization! 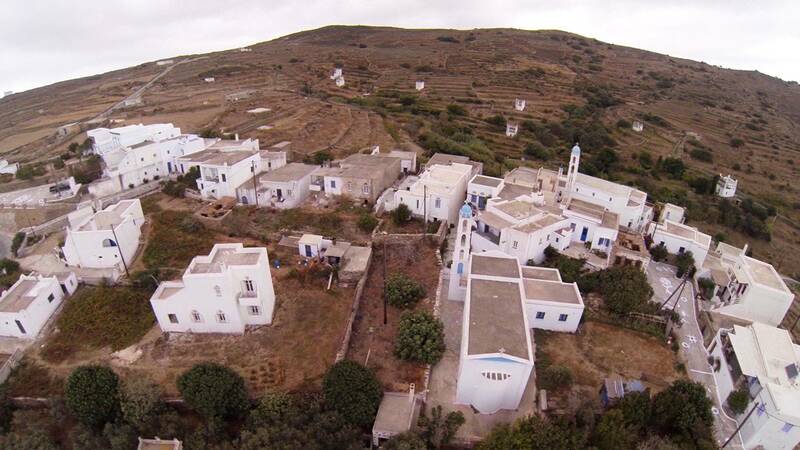 The greenish village with the hospitable inhabitants was named by the ancient quarry of copper (from the words καρκάς, χαλκιάς, χαλκός) which is located on the left side. 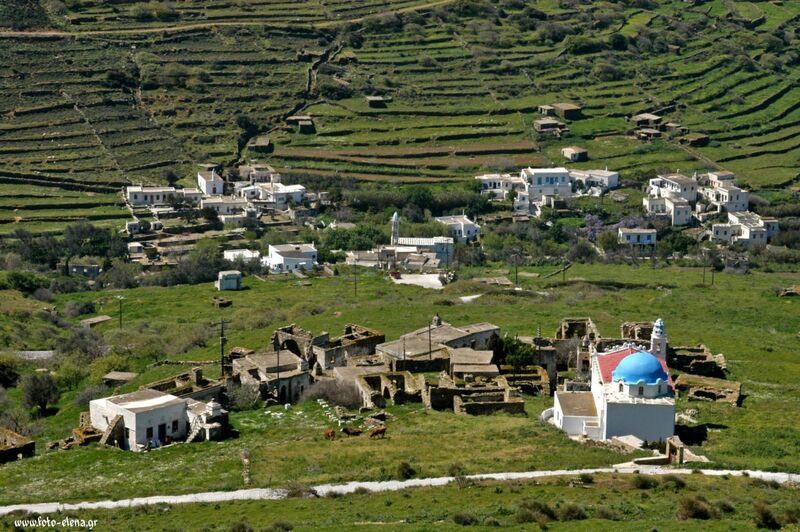 Surrounded by vegetation, trees, fields with crops, Krokos lies in the middle; the village was named by the homonymous plant. 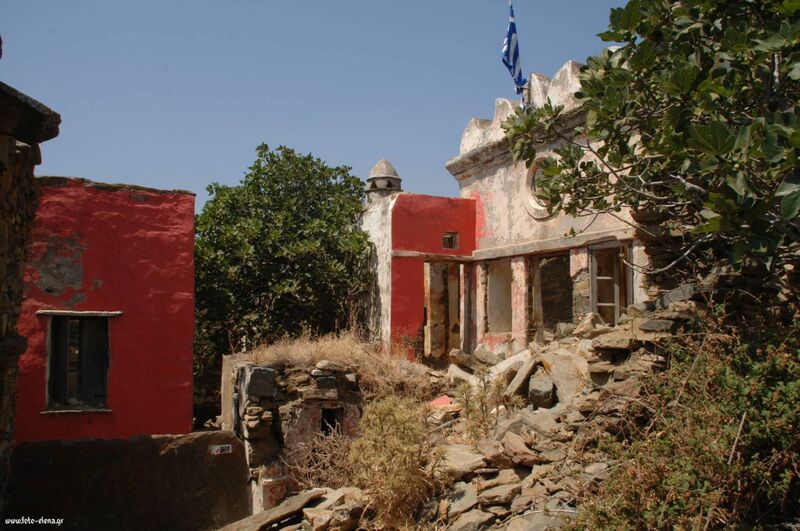 Here Markakis Zallonis was born, the medical philosopher who was the first one to write down Tinos history n 1809. 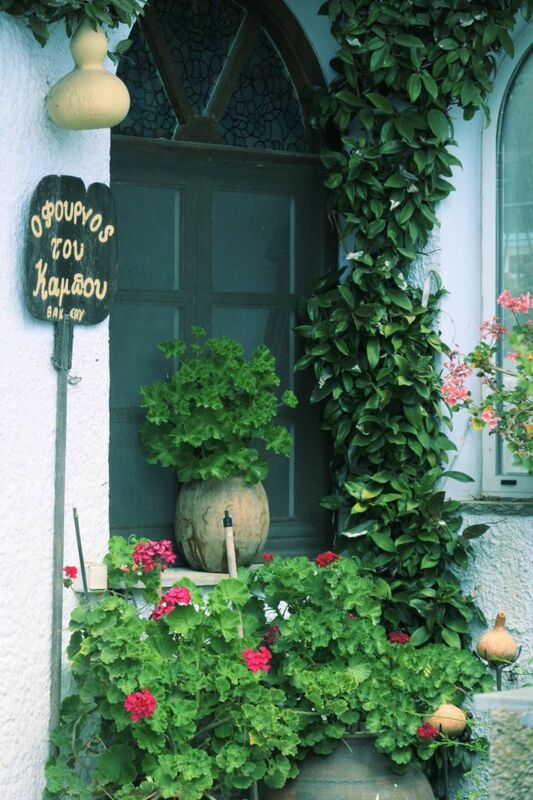 The fact that here, one of the greatest modern Greek painters was born in 1842, it’s reason enough to travel at Sklavochorio village and visit his house, open to the public. The mountain, tiny, purely orthodox village has few residents, view to Agapi village, traditional wash room and a beautiful church, the Holy Trinity. 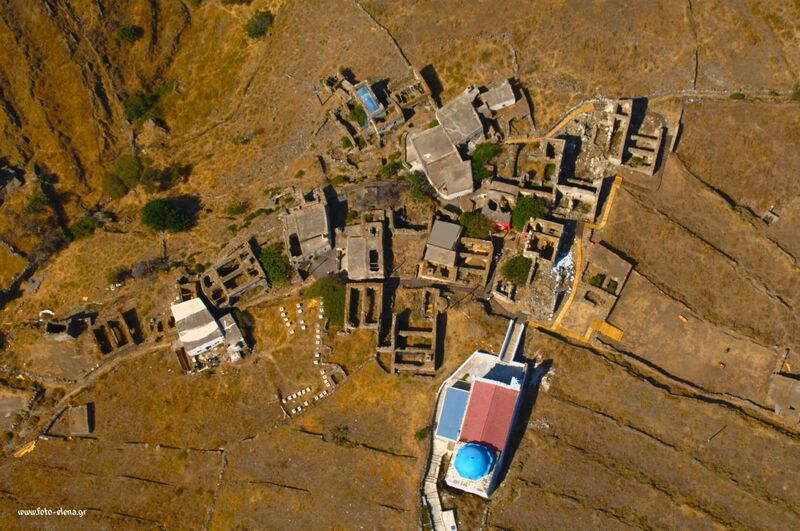 The last of village of all Kato Meri... Small community, "favored" by the winds, built on the North Wind mountain with beautiful view to Kalloni and Karkados village and also to the lowlands. 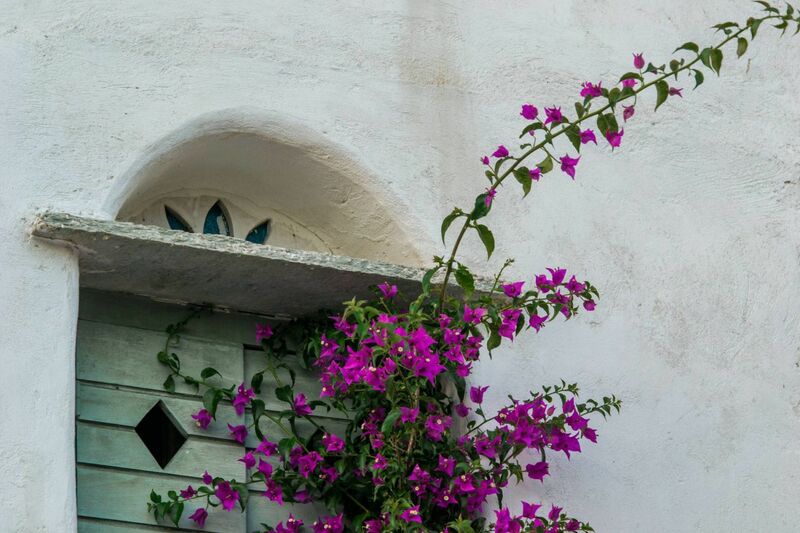 You can notice the characteristics of Cycladic architecture found at the pebbled neat courtyards, the island paths and the whitewashed houses, but what impresses more is the Museum of Traditional Pottery, with its interesting collection of ceramics. 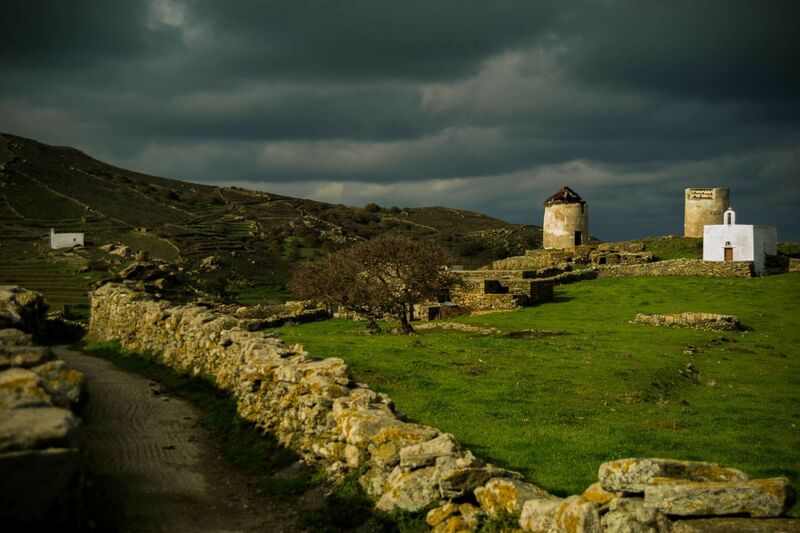 Nearby, you can see the ruins of the medieval town of Maiden Tower and the plateau of the Plain of War. The church of Aghios Agapitos at Griza, with the springs and the stream with the pigeon houses gave its name to the village. Spread at a slope, among prickly pears, this beautiful village boasts of the traditional architecture of its buildings, the lintels decorated with folk motifs and the Tinian old wash house. At the old school a Museum of Photography is being established, in order to record and save the photographs on the island. 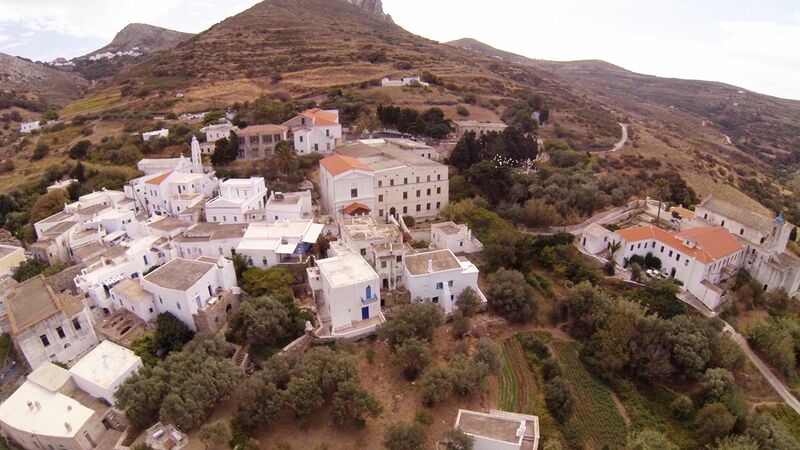 From Agapi village, you can get to the monastery of Panagia Vourniotissa (1670), covering a distance of 4km on a dirt road. It owes the dense vegetation that surrounds it to the abundant waters of the region. 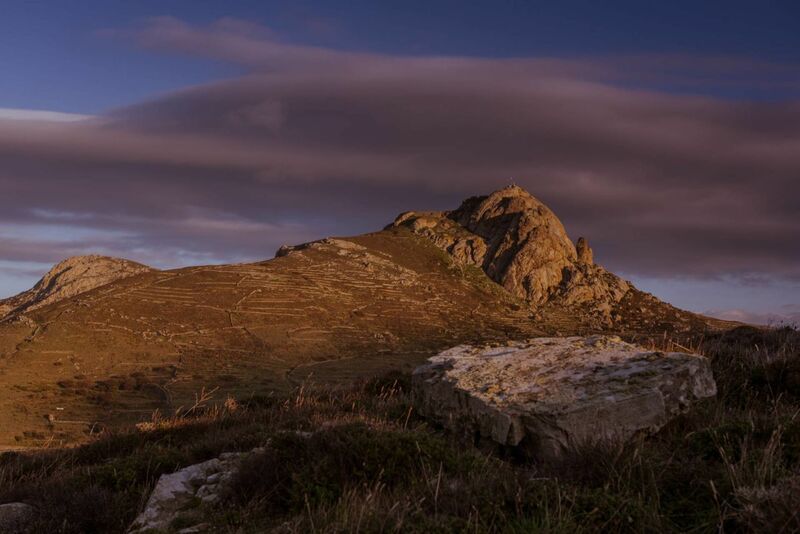 The location on the southeastern edges of the mountain Rahes allows the visitors to overlook the plains at Kato Meri and Xobourgo rock. 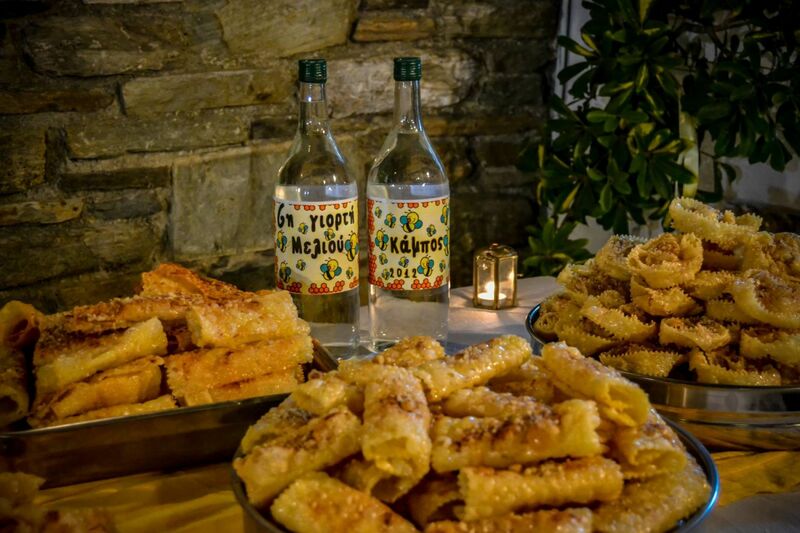 In the central square of Smardakito village, you will see the church of Aghios Antonios with its tall bell tower and you will quench your thirst with refreshing water descending from the old xinara (source). The historic burden of the place is heavy... 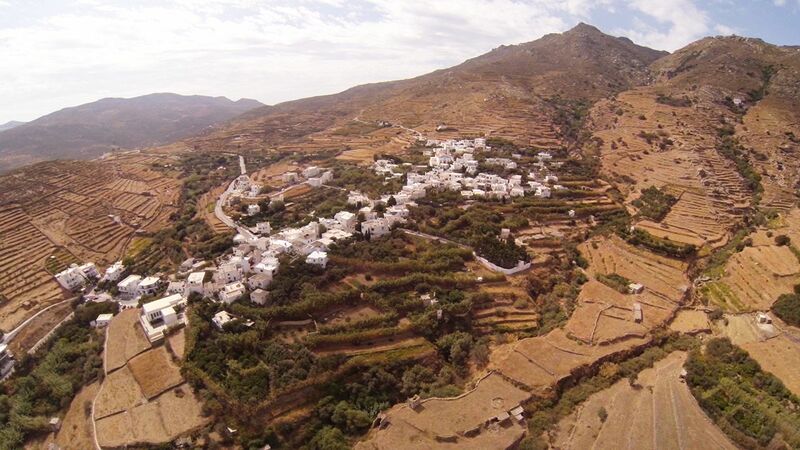 Here, among the gardens, after the destruction of the Castle of Xobourgo, Jesuit monks and nuns Ursulines built their monasteries, changing Loutra into an important religious center of Tinos. In 1862 a nun of the Ursulines Order founded the monastery, which included girls' school, elementary and high school, orphanage, boarding school and carpet school running until 1990! Today, it has turned into a museum, where handiwork, musical instruments and books schoolgirls are exhibited. Similarly, the monastery of Jesuits has become an Agricultural Museum which houses artifacts and agricultural implements of the past. Rich place, thanks to the extensive, "fruitful" prairie of Komi. 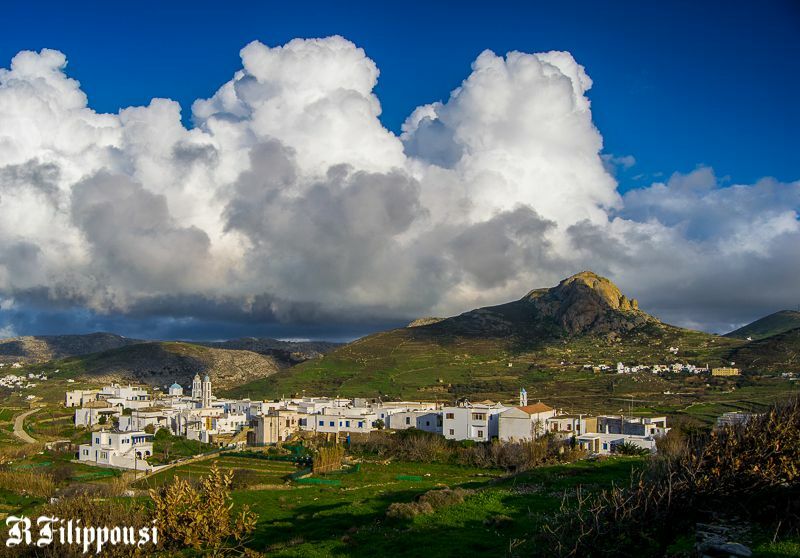 Gardens full of vegetables, artichokes in huge quantities (artichoke festival takes place here), windmills, pigeon houses, flowery plazas and the largest stone arch of the island are gathered in this green village called Komi. 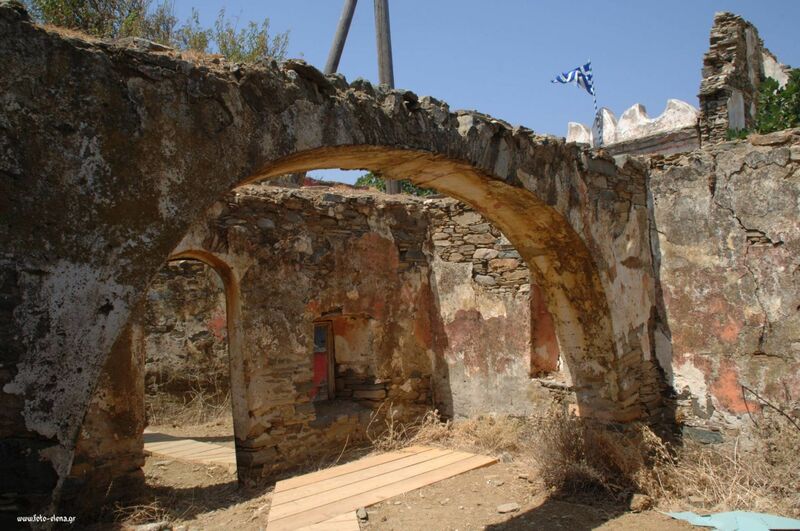 In the Old Catholic Church of Aghios Ioannis you will see the old instrument, which is preserved in good condition. 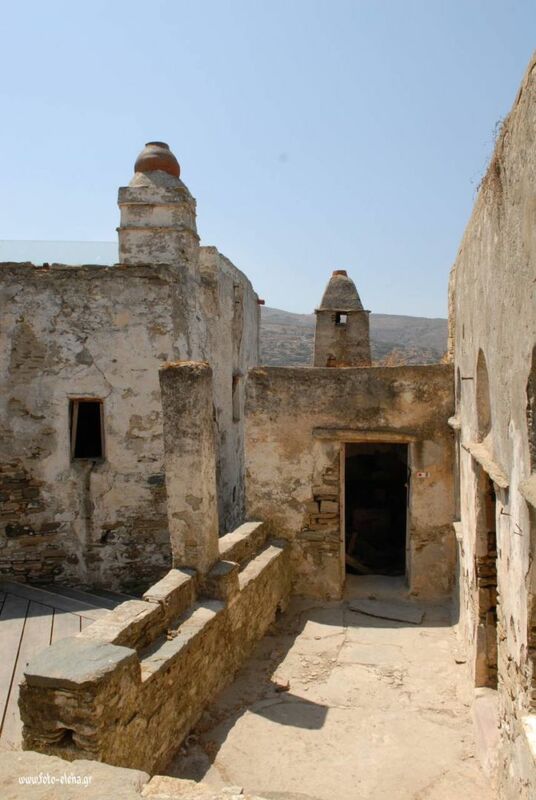 Under Xobourgo, next to pines and palm trees, the stronghold of Catholicism in Tinos (here is the seat of the Catholic Archdiocese of the island), an important center of commerce and crafts in medieval times, was set. Nowadays, in Xinara you will see the Virgin of the Rosary (Catholic Archdiocese Cathedral) and the Apostles Peter and Paul and the Bishop's Palace, an old seminary, which now houses the museum of ecclesiastical treasures and files of the Catholic parishes. Xinara is also the seat of the municipality of Exombourgo.